As a good pet parent, you already know your pet needs to be eating nutritionally complete and balanced food. But with so many diets out there, how do you choose the perfect one for your pet? Local veterinarian Dr. Katy Nelson has some tips. Editor’s note: Dr. Katy Nelson’s 10 tips for choosing the right pet food will run as a two-part series. 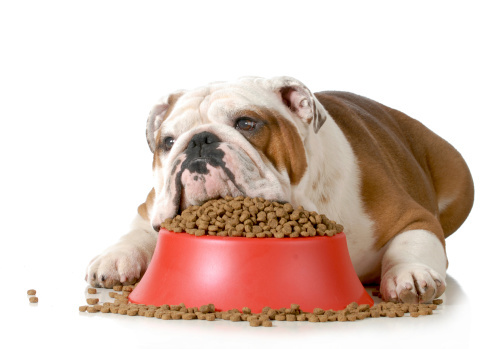 WASHINGTON – As a good pet parent, you already know your pet needs to be eating nutritionally complete and balanced food. But with so many diets out there, how do you choose the perfect one for your pet? As a veterinarian for 12 years, and a total nutrition nerd, here are my tips for choosing the right diet that will nurture your pet. First off, you must come to the realization that there is no perfect food. However, there is a diet out there that may be perfect for your pet. Always have the discussion with your veterinarian about what his/her nutritional recommendations are for your pet so you don’t walk into the often-intimidating pet food aisle uninformed. There are many factors to consider when choosing the right food for your pet. Age, breed, reproductive status (spayed or neutered vs. intact), size, lifestyle and any disease conditions should always play into your decision making. A diet that claims it is appropriate for “all life stages” should be avoided as nutritional requirements for all of the aforementioned factors are quite different. Reproductive status (whether your pet is spayed, neutered or intact) plays a huge role in metabolism. A pet that is spayed or neutered has a diminished maintenance energy requirement. Therefore, its caloric intake should be reduced by approximately 25-30 percent from what is recommended for an intact dog or cat. This means if your bag of dry pet food recommends feeding approximately 1 cup twice daily, you should only be feeding 2/3 to 3/4 of a cup twice daily to maintain a healthy weight. Always talk with your veterinarian before instituting a weight loss program, or when changing from one diet to another. Remember that dogs and cats are carnivores, and should be fed diets with animal-based protein sources, not vegetable. Vegetable-based proteins do not contain the essential amino acids that dogs and cats require in their diets to maintain healthy coats, muscles and immune systems. Diets based on vegetable protein must supplement these essential amino acids from artificial sources, which are not as easily metabolized as those from natural sources. Human food is not appropriate for household pets in most instances. Many of the foods that we so commonly eat can be toxic to dogs and cats. Chocolate, grapes and raisins, onions and garlic, macadamia nuts and even sugar-free gum can be toxic. Always discuss with your veterinarian all of the foods that your pets are receiving to make sure you are not unwittingly putting your pet’s health in jeopardy. Some people prefer to cook for their pets rather than use a commercial diet, but this should always be done in conjunction with a veterinary nutritionist to ensure your pet is receiving a complete and balanced diet.